Around this time last year, I experienced staying at a shelter for the very first time. Something that I honestly never thought I would have to experience. You see, prior to moving to Florida three years ago, I lived in Brooklyn, New York. Hurricanes in that part of the country are very rare and the closest that I’ve ever come to experiencing a hurricane, was when Hurricane Sandy came to the New York area. I was in a safe area so we didn’t have to go to a shelter. Not that that option was even in my thoughts, honestly. As many New Yorkers, I just prepared very much like I did plenty of other times during blizzards; I stocked up on food (mainly junk food), water, flashlights, extra batteries and a few candles, in case we lost power. When I moved to Florida, I learned that hurricane season is alive and well in this part of the country and that stocking up on the essentials is great, but I also needed to have a secondary plan. That secondary plan involved knowing where my closest wheelchair accessible shelters were, in case we were going to be hit by a major hurricane. Our first lesson in staying at a shelter came last year, during Hurricane Matthew. My family and I, honestly didn’t know what to expect and you can say that we were a little underprepared when we went in. I guess that always happens when it’s your first time experiencing something new like this. 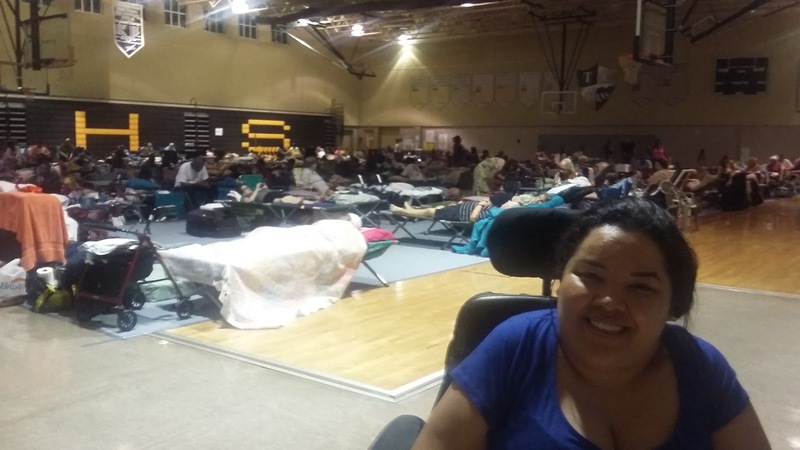 This year however was a little different when we went to seek shelter from Hurricane Irma, and we have Hurricane Matthew to thank. So with that said, below I will share with you my top personal tips when going to a shelter. My prayer is that you never have to use these tips but in case you do face such a situation, I hope that these points may be of some help to you in being prepared and knowing what to expect. My first tip when going to a shelter is to go and register early, in fact, as soon as they open to the public. Since shelters work on a first come, first serve basis, they have a limit on how many people they are able to hold so it is good to arrive early to find the best spot to set up camp. Having first dibs on a spot is very important because you can choose the area that works best for you. For me, I needed to be in an area where I could easily come in and out in my wheelchair without disturbing anyone or being blocked. It was also important for me to be near an outlet that way I could recharge my chair or any electronic item, whenever needed, without having to go far. My second tip is to bring anything that helps you in your daily living activities. If it’s something that’s essential for you at home, it will be essential for you at the shelter. For me, that was bringing my hoyer lift. Without it, it is hard for my mom, who is my caretaker, to lift me for transfers so we brought the lift along with us. We explained in advance to the Red Cross shelter my need for this device and they were very accommodating. They even assigned a special stall in the bathroom where we were able to keep it safe and accessible, for whenever I needed it. My third tip when going to a shelter is to bring cleansing wipes along with your basic toiletries. Sometimes in the shelters, you don’t have access to showers. If they do have them, they might be a little bit uncomfortable for someone in a wheelchair or with limited mobility. Pre-moistened towelettes worked wonders for me. They worked great at keeping me nice and fresh during my time there. Fourth tip, and this is very important, bring your own bed! The first time we went to the shelter, my family assumed that they were going to have beds for people to sleep, well we assumed wrong! Not every shelter has cots for everyone; sometimes, they only have a few and they only offer them to the very elderly. I had no issues last time because I have a wheelchair that reclines which is perfect, in situations like this. Unfortunately though, my stepbrother who also uses a wheelchair, wasn’t as comfortable as I was and had to sleep sitting up, in his chair. For Hurricane Irma we already knew better. So for sleeping accommodations my mom made sure she packed extra blankets and pillows as well as a high level air mattress. She even brought in a small La-Z-Boy like recliner which made it easier for my stepbrother to transfer from his chair to the recliner instead of the air mattress. You don’t know how long you are going to be there so bringing things that will make you feel comfortable while there is essential. Fifth tip: If you don’t like high school cafeteria food or have a special diet make sure you bring your own food as well as snacks and drinks. I don’t know about you but I am a picky eater and I found myself not eating many of the things that the shelter was offering. On my second stay at the shelter, I made sure we brought extra food and snacks to munch on. This was also helpful for me since I didn’t have to think about waiting in line whenever food was being served, since I already had food with me. Six and final tip that I learned while at the shelter, was that people are always willing to offer a hand of help. So if you feel like you need help with things such as filling up your air mattress or any other assistance in any way, trust me when I say don’t hesitate to ask. We met so many amazing people that were more than willing to lend a helping hand. From the amazing volunteers to individuals who were seeking shelter themselves, I saw so many people look after each other. It was truly beautiful. I hope these few tips were helpful for you and you will not hesitate going to a shelter, in advance of a major storm. Don't wait until it's too late. Please keep in mind that what I shared was based on my personal experience staying at a local general population shelter. To learn more about which shelters are in your area as well as special needs shelter, visit the hurricane preparedness section of your local city website. Kirsy Rodriguez is 35 years old and was born in the Dominican Republic but raised in New York City. Kirsy was born with a benign tumor between c2-c7 levels of the spine. Though she was able to walk when younger (with some difficulty), it wasn't until her second surgery to reduce the size of the tumor in 1996 that left her requiring a wheelchair for mobility. In recent years, her physical condition has decreased but her spirit and will to overcome the barriers that she sometimes faces, have only gotten stronger. After graduating high school, she briefly worked with a theater company as a teaching artist which was a great memorable experience for her. Later on, she attended college and received an Associate's in Mental Health and Human Services and through a work readiness program, she got an internship at an organization specifically for women with disabilities. There she was given the opportunity to create a workshop titled: “The Do's and Don'ts of Fashion in the Workplace” where she taught young women with various disabilities how to dress for a job interview as well as how to apply makeup. Not only was this a great learning experience for her but one that was very rewarding, as well. 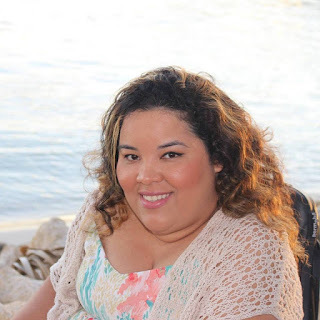 In 2014 she moved from Brooklyn, New York to South Florida and there she launched her personal blog titled “Barrier Free Me”. On her site, she shares her love of fashion and beauty as well as other things that are close to her heart. Currently, Kirsy is co–leading a faith-based support and empowerment group for individuals with chronic illnesses and disabilities, at her local church which she is very passionate about.